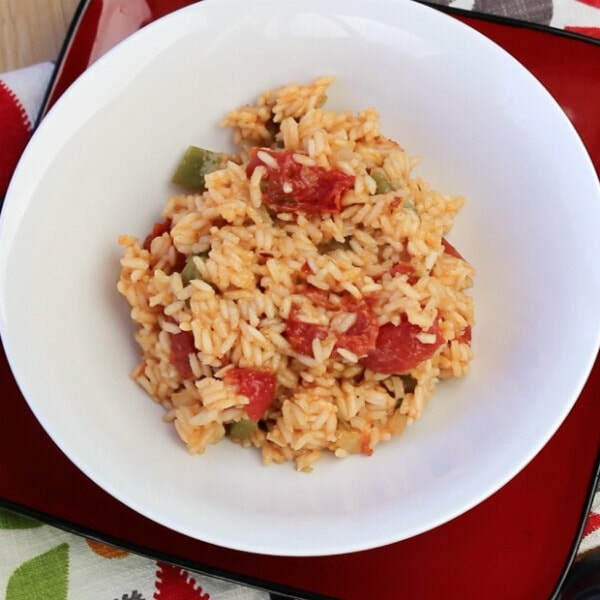 We love Spanish rice. It's a delicious staple of many households. To make this a complete meal, try adding black or kidney beans! This recipe is heart healthy because we use our own spice blend rather than a sodium-packed pre-made spice blend like adobo or sazón. Brown green pepper and onion in oil until tender. Stir in the spices, rice, tomatoes with juice, and water. Cover and cook over low heat for 20 minutes or until rice is done.